In Riviera Nayarit, luxury means taste. Gastronomy is a major asset for the promotion of our destination, and Gay Nagle’s recently published article on Travel Weekly praising the Gourmet Experience that is taking place in our destination is contributing to attract new visitors. Nagle’s article is entitled “Fine dining on the move on Riviera Nayarit”, and was published by Travel Weekly, one of the most influential publications among travel agents in the United States. The author describes not only Progressive Dining, which was designed for the Gourmet Experience, but also praises the culinary quality of our destination. “The reputation for gourmet cuisine in Riviera Nayarit is growing, due to the talent of our chefs and the quality of their restaurants, which take full advantage of Pacific seafood and quality fruits and vegetables from our region,” said Marc Murphy, Managing Director of the Riviera Nayarit Convention and Visitors Bureau. 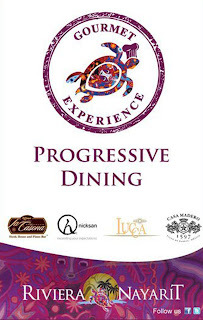 The Gourmet Experience Riviera Nayarit represents Progressive Dining that allows participants to make a gastronomic tour of three of the best restaurants in Riviera Nayarit, located at Villa La Estancia (La Casona), Marival Residences (Nicksan) and Grand Velas (Lucca). 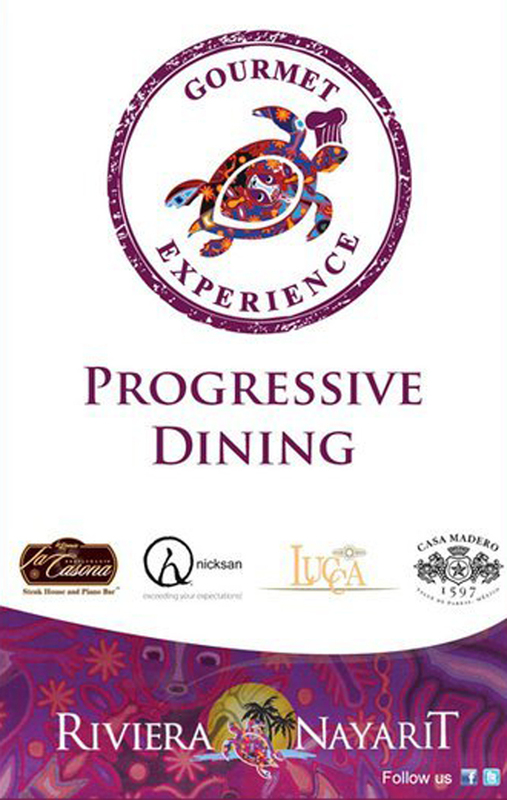 This tour consists of an initial 6-course menu that varies according to dishes that have been paired with wines of Casa Madero. There is a different program every time, and there are three options to choose from at your restaurant of choice both for the first and main courses, as well as for desserts. Travel Weekly and TravelWeekly.com are considered some of the key Business-to-Business information resources for the touristic industry. Its print version has a certified circulation of 37,732 copies and reaches over 26,000 travel agencies in the United States, while its website has an average of 426,000 monthly visits, with 74,000 unique visitors. The Convention and Visitors Bureau (CVB) of Riviera Nayarit is working intensely to promote destination, striving to recover the confidence of the markets in order to attract more tourists with the help of publications such as this one. Through its PR efforts, it attracts the attention of the most influential media and introduces the touristic offers of this destination – the publication of this article being the result of such promotional efforts. Tickets for these gastronomic tours can be purchased through each of the hotel’s concierges, and have a cost of $1,100 pesos per person, including taxes and service charges. Locals will also enjoy an additional 15% discount.